Why in the world would we call this Superman vs Batman? Because if you read the comics, Batman is the home team at this point and this is HIS fight to loose. So with very little information release about the storyline they will use for the movie, we are left to ponder, will the story follow the comic or will we somehow deviate in yet another Hollywood sell-out script? It should be a situation where we know the ending and the excitement should be how we get there. If they follow the series as they hopefully will, Batman will use his brain (what a GEEK!) and defeat Superman. We are hopeful that is the case, but we’ll have to wait and see what happens. While the entire cast has not been announced there are some confirmations. Primarily the one that shocked all of us here on GeekLine415 (and dismayed some of us) is that Ben Affleck will be playing Batman. After his first debacle as a superhero in DareDevil we are left to wonder… What in heck the director Zack Snyder is thinking. What we are hoping for is a pleasant surprise, much like Michael Keaton was as Batman in the original movie series. Gal Gadot as Diana Prince (WonderWoman) — this in and of itself is a complete miscasting our in our opinion. Wasn’t Diana supposed to be an Amazon princess and a big, tall, strong woman? Gal Gadot doesn’t fit the bill right now, but remember Linda Hamilton as Sarah Conner in Terminator 2 and how she buffed out for that role? The jury is still out, but it’s not looking good for WonderWoman. Jesse Eisenberg as Lex Luthor — This might stretch his acting ability, but a chance to play a real villain might be just his role. Jeremy Irons as Alfred — Good choice! Lawrence Fishburne as Perry White — You know he will play that role well. Would have been interesting if they had chosen Richard Roundtree or Lou Gossett Jr instead. 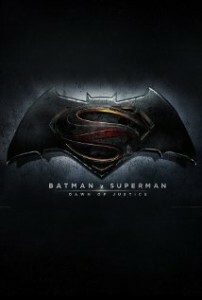 You can find out more about the cast of Superman vs Batman: Dawn of Justice by visiting the IMDB page here. This movie sounds good, I wonder if that kid from the facebook movie will be any good as Lex Luthor?